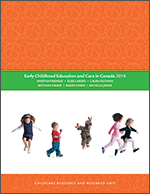 This paper used a Critical Discourse Analysis (CDA) to analyze the representation of Early Childhood Education and Care (ECEC) in the 2006 federal election in Canada. Using Fairclough's approach to CDA, the study analyzed written documents including newspaper articles from The Globe and Mail and The National Post, the policy platforms of the Liberal and Conservative parties, and political speeches from party leaders. The "choice" discourse was found to be dominant in the majority of texts examined. A dominant discourse is one that is created and sustained by those with power thus contributing to hegemony in society. Three textual and discourse processes were found to legitimize the "choice" discourse and contribute to its dominance: rationalization, nominalization and conversationalization. It is suggested that the language used in public documents throughout this election and the subsequent dominance of the "choice" discourse may have had a significant impact on citizens' understanding and appreciation of the complexities of ECEC in Canada.